يقع فندق Trinity Beach Club Holiday Apartments في منطقة تتمتع بمعالم كثيرة، وتعتبر المكان الأنسب لاكتشاف هذه المدينة رائعة الجمال و ما يحيطها. يمكن من هنا للضيوف الاستمتاع بسهولة الوصول إلى كل ما تقدمه هذه المدينة النابضة بالحياة. إن سهولة الوصول من الفندق إلى المعالم السياحية الشهيرة الكثيرة في المدينة هو استثنائي بحد ذاته. يقدم Trinity Beach Club Holiday Apartments خدمات لا غبار عليها وكل أشكال اللياقة وحسن الضيافة اللازمة لإسعاد ضيوفه. يقدم العقار تسجيل وصول/خروج سريع, تخزين الأمتعة, واي فاي في المناطق العامة, صف السيارات, التوصيل من وإلى المطار لضمان الراحة القصوى لضيوفه. استمتع بوسائل الراحة الراقية في الغرف أثناء إقامتك هنا. بعض الغرف تتضمن تلفزيون بشاشة مسطحة, غرف لغير المدخنين, مكيف هواء, شرفة/ تراس, ساعة منبه لمساعدتك على استعادة طاقتك بعد يوم طويل. يقدم الفندق خدمات رائعة كمثل حوض استحمام ساخن, مركز للياقة البدنية, مسار جولف - ضمن 3 كم, حمام سباحة خارجي, سبا لمساعدتك على الاسترخاء بعد نهار طويل من النشاط والتجوال في المدينة. استمتع بخدمات لا يعلى عليها وعنوان ذو اعتبار في Trinity Beach Club Holiday Apartments . يُرجى العلم بأن خدمة التنظيف تُقدم للشقق أسبوعيًا أو يوميًا بناءً على ترتيب مُسبق ومقابل رسوم. We enjoyed our 2 week stay. A good base to visit places and a quiet location. Apartment comfortable and everything you need. Sofa needed to be a bit bigger. Close to beach , cafes and Tavern . Our second stay at Trinity Beach Club since 3 years ago. Good value for money. Booked for 3 Days and extended for extra 3 days. Friendly management, large very well appointed unit. Great pool and BIG barbecue cabana area surrounded by cool treed grounds. Loved the place, didn't want to leave, will certainly return.. It was a pleasure to stay here. 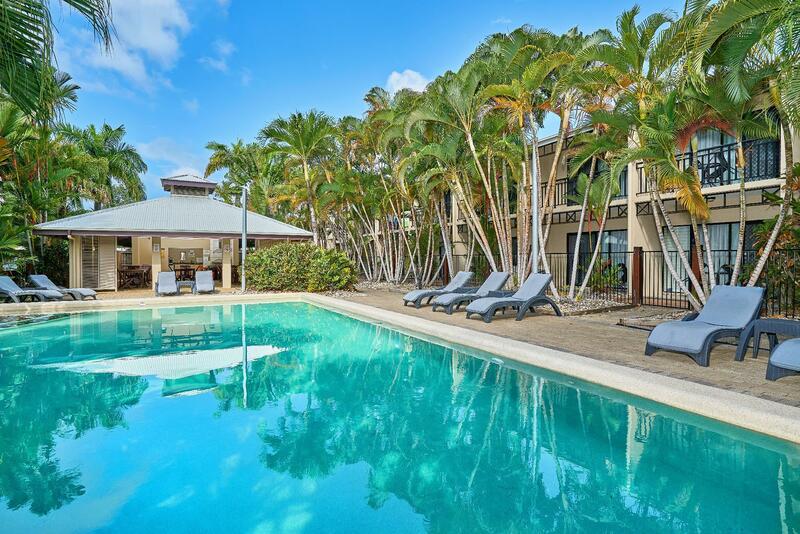 The property is well located only a couple of blocks from the beach and close to restaurants. The rooms are of a good size and the grounds are very tropical. Our stay was only for two nights because we wanted a break from 'glamping' in the rainforest and a break before returning to Melbourne. The Inn is easy to locate free undercover parking and near the beach and local stores. The staff/manager and manageress were extremely helpful and the apartment was comfortable. All in all money (and not too much either) well spent. Also the booking done in the UK online was troublefree. Great Stay except for howling and crying dog next door. Got woken up at 10pm, 11pm and midnight most nights because of the howling and crying neglected dog next door. After 3 days i was sleep deprived and exhausted. As i work from 7am Monday to Saturday i am asleep usually by 10pm. 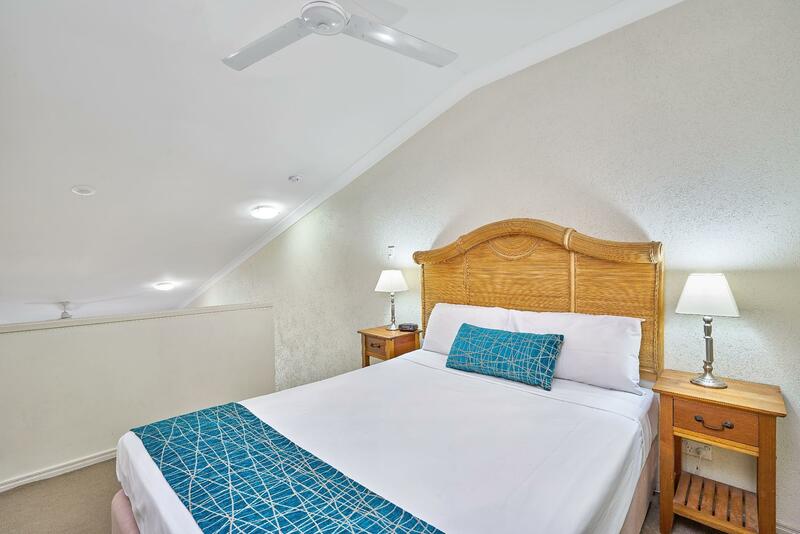 Great friendly staff with clean well appointed rooms. Out of Cairns but public transport and transfers available. Top eateries within walking distance as is the beachfront. Everytime we stay at the resort you always are made to feel welcome. Had a great time staying at Comfort Inn Trinity Beach. The staff were all very friendly and made my easy for me to check in despite a late arrival. The room was not fancy, but serviceable. The corridors are quite loud and prison-like - they need some decorations to soften them. Overall, if you're after a cheap place to stay in Trinity, you'll find good value here. Was happy wih the service and stay.would recomend to future guests and will return to the hotel whenever we are in Cairns. 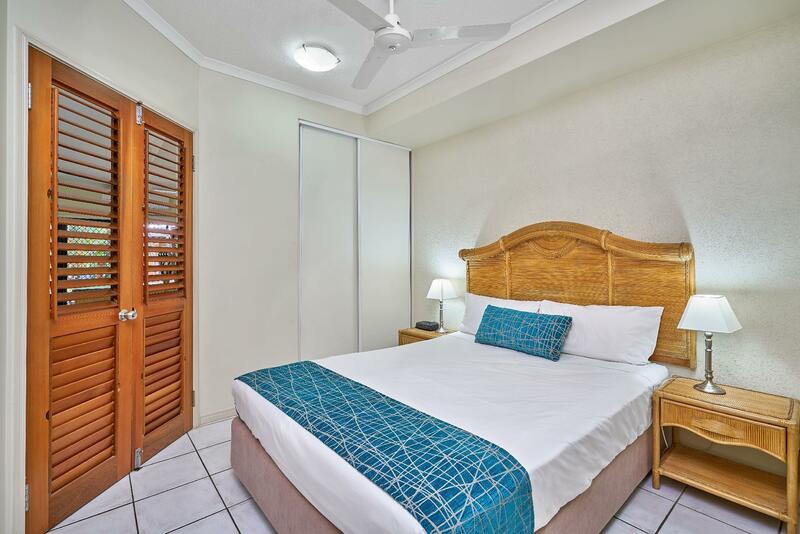 fanatastic location couple of minutes walk to Trinty beach great restaurants and Trinty tavern..Everything catered for both young and old children and families..Pool area was spotlessly clean. Barb a Q was clean and tidy would stay here again great value for money. Great stay in a quaint, comfortable place near lovely Trinity Beach. Not the Ritz Carlton by any means but charming nonetheless. Public barbeque is great, staff and their knowledge of the area is superb. Perfect place for a family or couple on a budget looking to save on eating as cooking facilities are available.